This is a quilt I recently made for my brother, who is a Tech Alumni. Hopefully he doesn’t look at this blog ;). It’s a little bit difficult to see in the photos, but I used red and silver thread to quilt the double T logo on alternating squares. The other squares are filled in with the TT gun. The border detail is random quilting in red. 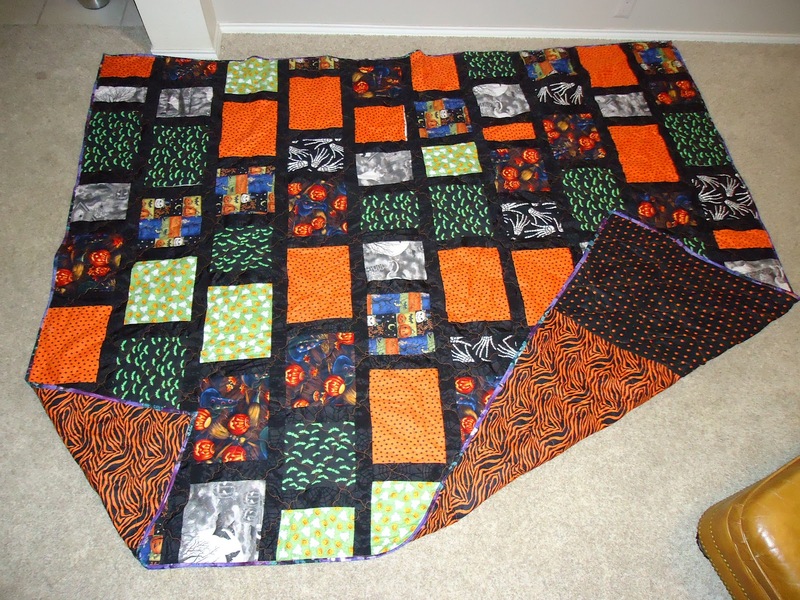 This is a quilt I made for our nephew, Max. He loves cars and all things boy, so I did just a mix-match of all the things and colors he would like. This quilt was in between crib and twin size. 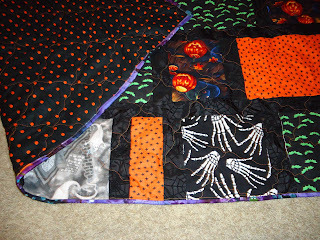 This was just before I finished the binding on the quilt. The backing was a pieced backing similar to the front. 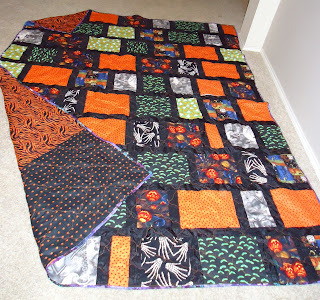 These are some pictures of the first quilt I completed. 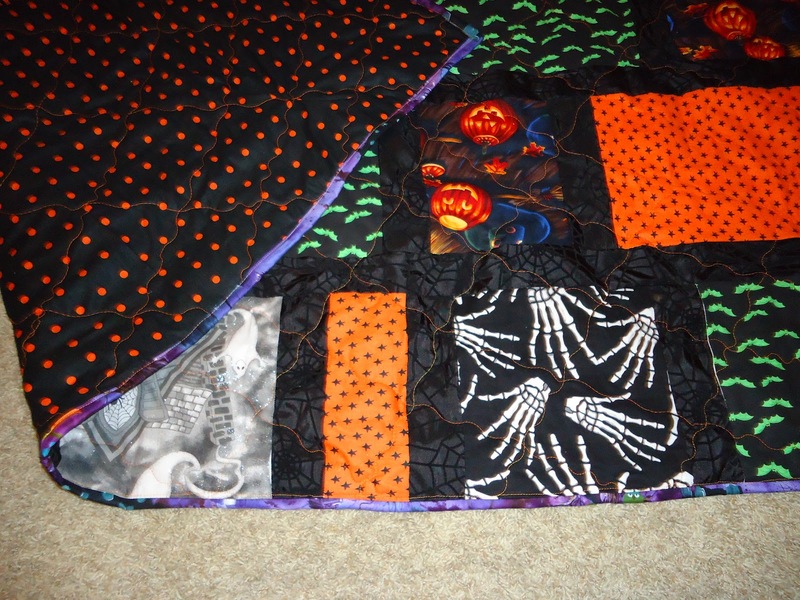 My favorite holiday is Halloween and I picked up quilting right around the time the fabric was everywhere! 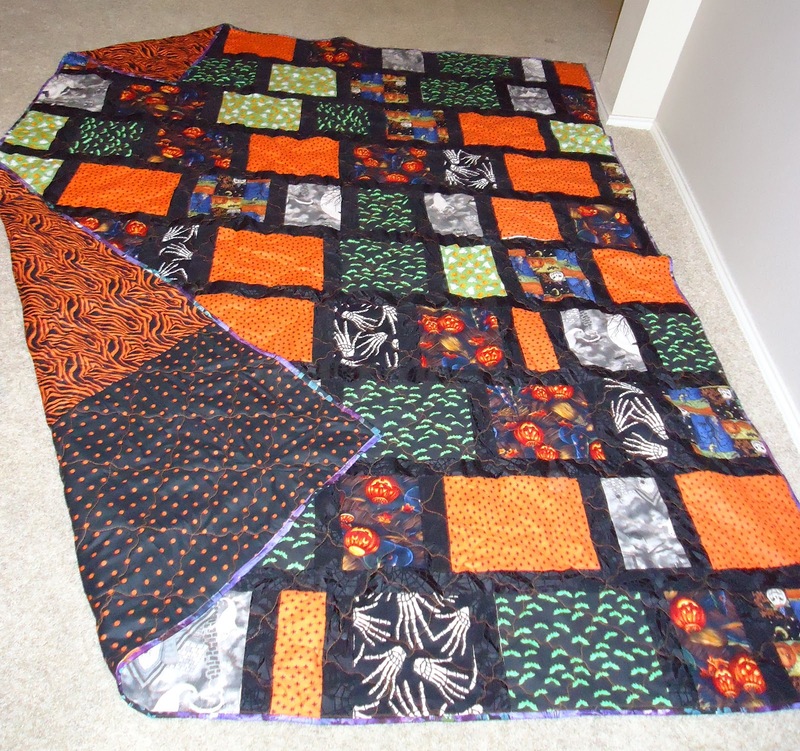 This is a full size quilt.